About a week ago I talked about the various kinds of meteorites and how one kind, pallasites are a mixture of iron-nickel and a mineral known as olivine. In another post I talked about how some pallasites from the asteroid Vesta indicate it likely had a strong magnetic field in its early days. I noted that we can identify these meteorites as coming from Vesta because their chemical composition is similar to that of Vesta. 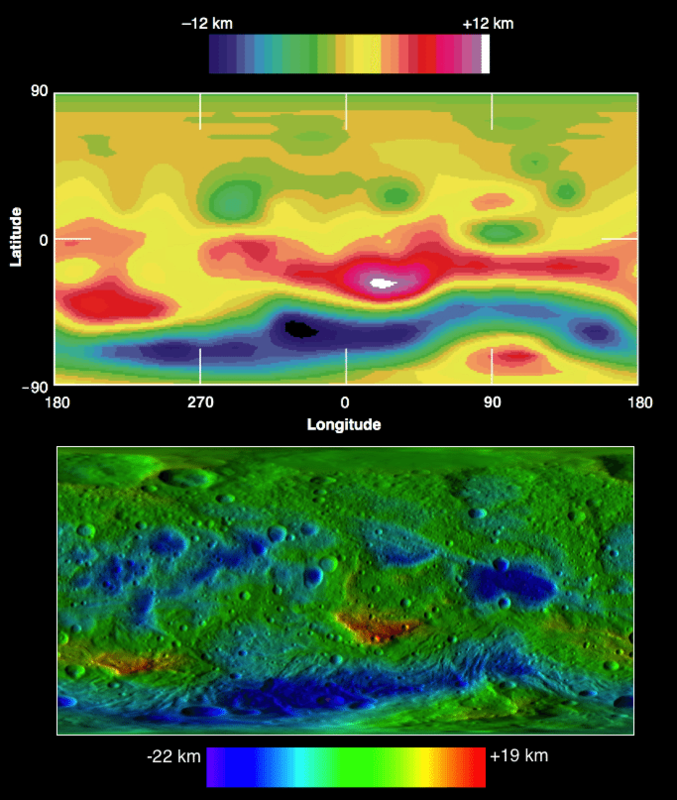 We can identify the surface composition of Vesta by looking at its spectra at visible and infrared wavelengths. We’ve had ground-based and Hubble telescope observations for a while, but with the arrival of the Dawn spacecraft at Vesta we have a much higher resolution view. In the figure below you can see a comparison between Hubble’s imaging of Vesta’s surface with that of Dawn’s. As you can see, the Dawn spacecraft is significantly higher, and able to see distinct features in great detail. Dawn also made high resolution images at visible and infrared wavelengths, which gives us the ability to identify specific minerals, such as olivine. In a recent paper in Nature (unfortunately behind a paywall), an analysis of these observations presented some interesting findings about Vesta’s olivine. Olivine is a common mineral on Vesta, just as it is on Earth. Since Vesta is a differentiated planetoid (meaning it has a core, mantle and crust), one would expect much of the olivine to be located in its mantle. 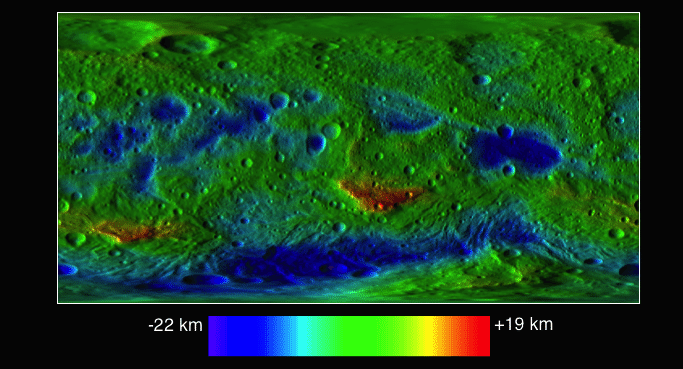 High resolution images of Vesta found regions in the southern hemisphere where the mantle is exposed, but didn’t find large quantities of olivine there. Instead, olivine was found in the northern hemisphere, in exposed regions of its crust. This means Vesta did not simply differentiate in a way similar to Earth. Instead, a more complicated process led to the Vesta we see today. What that process was remains to be determined. The Dawn spacecraft is now on its way to the minor planet Ceres. Perhaps there we will find more clues to the formation of the larger asteroids in our solar system. Paper: Ammannito E, De sanctis MC, Palomba E, et al. Olivine in an unexpected location on Vesta’s surface. Nature. 2013;504(7478):122-5.